Delhi Government has launched Zero Fatality Corridor with an aim to curb the number of accidents. The announcement was made by the Minister of Transport, Delhi during the opening ceremony of the Road Safety Week. A 3 km stretch between Bhalswa chowk and Burari chowk on the outer ring road has been chosen as a case study in this regard. 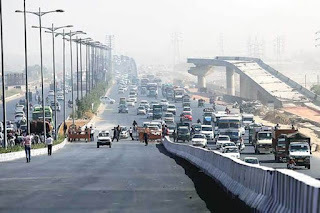 The selected stretch has four blackspots namely Burari chowk, Bhalswa chowk, Mukundpur chowk, and Jahangirpuri bus stand. This 3 km stretch will be observed for scientific assessment of accidents, road engineering, road-user engagement. Experts will also ensure that safety and security measures such as police enforcement and rapid emergency care are made available on this stretch. The initiative is a collaborative approach of the transport, health, education, public works department, together with Delhi traffic police to ensure that road fatalities in Delhi are reduced. Data shows that around 67 fatal road accidents occurred on this road over a span of two years starting 2016. The Zero Fatality Corridor project's aim is to reduce the fatalities to near zero levels on this particular stretch. After evaluating the impact of the initiative, the government aims to replicate this model in other parts of the city. The initiative is part of the plan of action to reduce fatalities due to road crashes by 30 per cent by 2020. Q. Which government has launched Zero Fatality Corridor with an aim to curb the number of accidents?